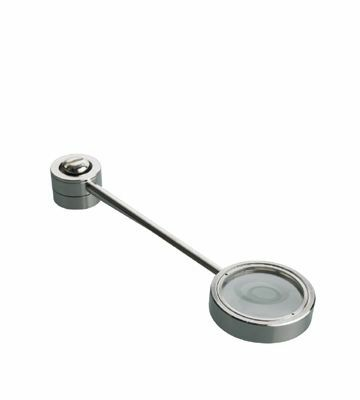 The Ultra Slim DAYLIGHT Swing Arms Lens is exquisitely built to rest atop a desk and focus any working surface. From paintings to sketches to pages and pages of written word, all projects undergo a magnified jolt which brings forward the best of the work at 4X magnification. Creating art sometimes feels like a battle, and creators need to get up close and personal with the work to really find the creative synergy behind it. The DAYLIGHT Ultra Slim Lens showcases a versatile swing arm that covers a wide area of the work surface. An impressive and staggering 4X magnification is harnessed in this modestly sized compact product. Illuminate a project, such as a canvas, painting, or sketch, with brilliant clarity. A chrome styled surface resonates well and gives the sing arm a nice resonating style. Slim and non-invasive, creators can work in peace and display the utmost clearness.